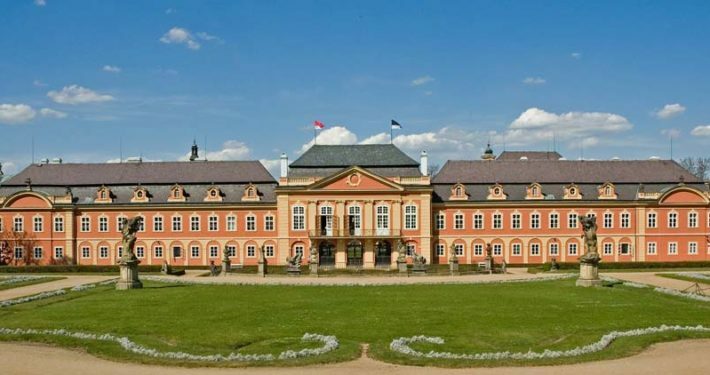 Troja Chateau is a Baroque building located close by the Vltava River. The complex boasts several outbuildings including a stables, wine vault, inspired by the adjacent St Clare vineyard. The chateau is surrounded by a large garden, adorned with fountains, terracotta vases, stucco leaves and an orangery featuring the busts of emperors. 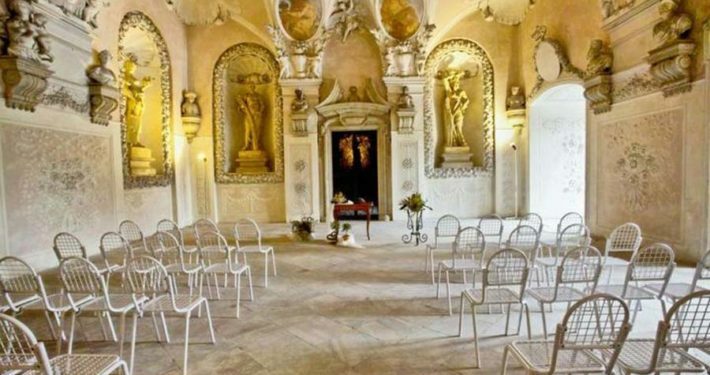 The entire chateau can be rented out for the wedding day. 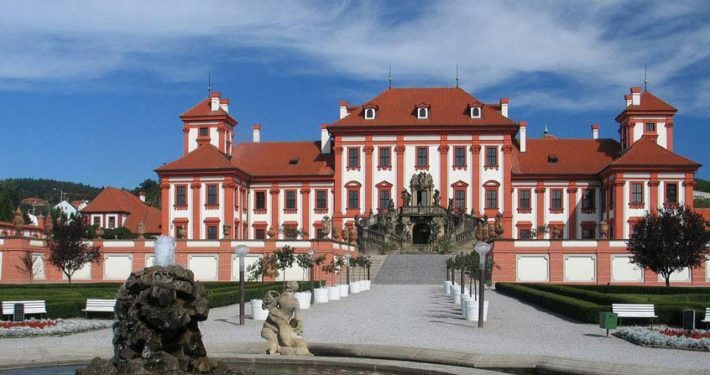 Pruhonice Chateau and the park surrounding it is the perfect setting for a romantic wedding in the Czech renaissance era. 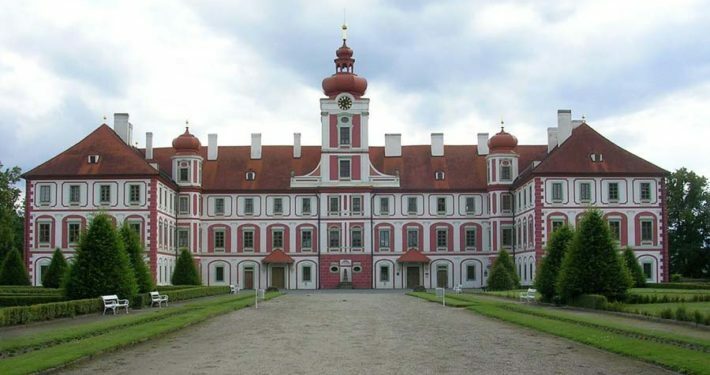 The chateau was built between 1720-1725 by Frantisek Adam of Trauttmansdorff. 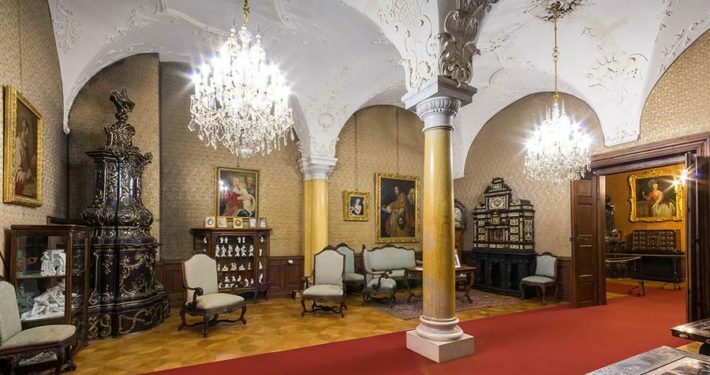 In 1868 Jemniste was bought by Zdenek Sternberg however, due to complicated social upheavals during the 20th century, it was necessary to ask for the property to be returned, which occurred in the restitution proceedings of 1995. Since that time, the chateau has been reconstructed and retrofitted. 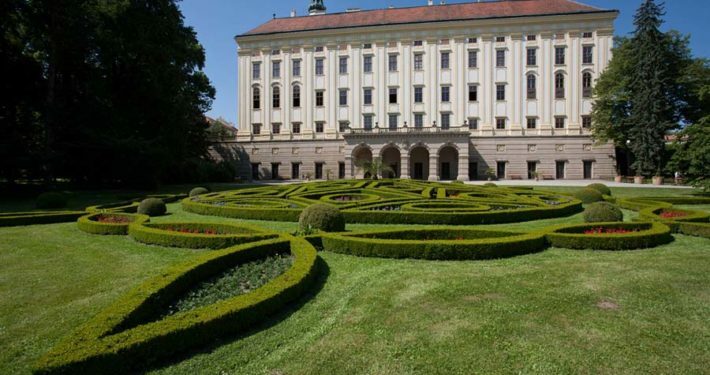 The Rococo palace boasting a distinctive façade as well as both French and English gardens, was returned to private ownership in 1998. 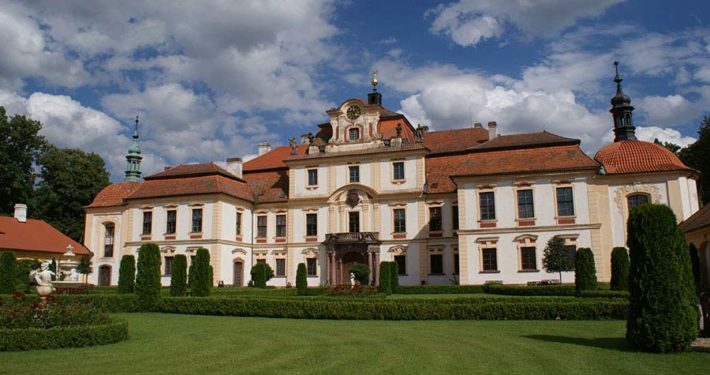 The present appearance of the chateau dates back to the years 1745 – 1765, when it was renovated by Jindrich Pavel Mansfeld. 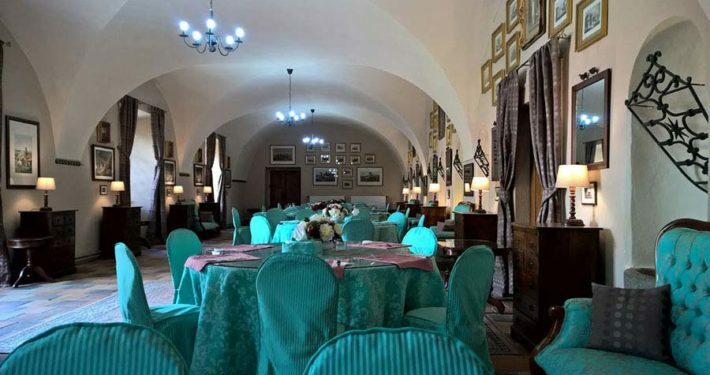 The chateau has been preserved since renovation work was carried out on it for Archduke FF d’Este. 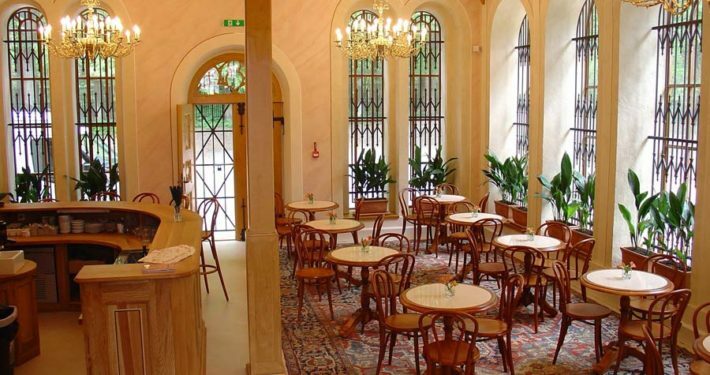 The interior has also been left untouched since the chateau was inhabited by Franz Ferdinand and his family. 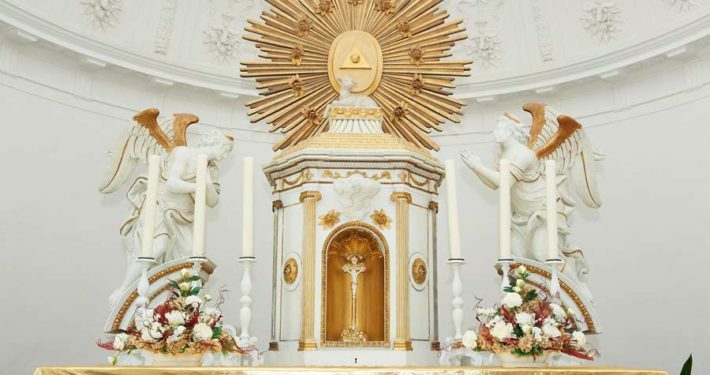 Option of civil wedding ceremonies taking place in the Ceremonial Lounge or Rose Garden and religious services in the chapel. 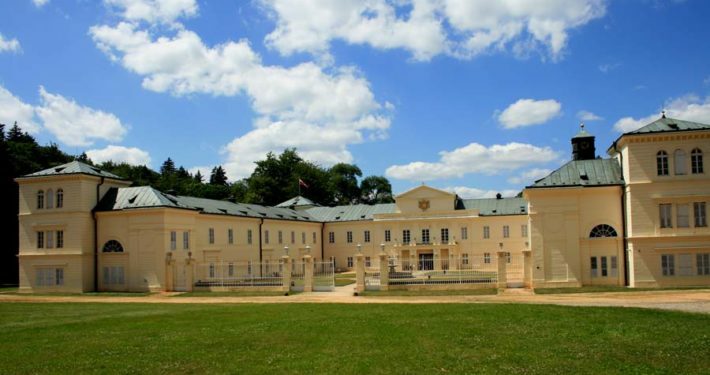 The residential units in Horovice featuring a noble court and fortress emerged no later than in the mid 12th century, at the end of that great early medieval colonization wave, which defined the settlement structure and communication network of the country. 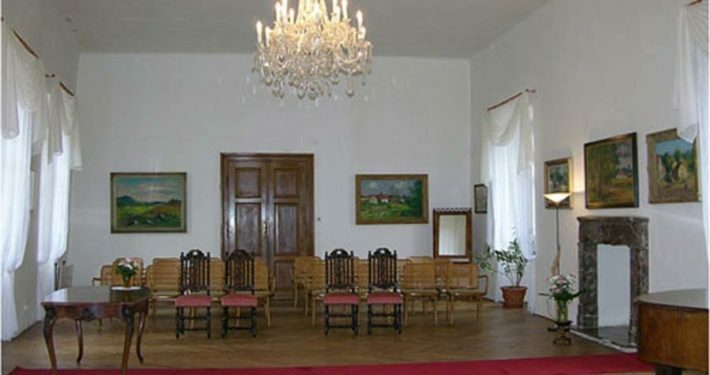 In 2002 the premises of Horovice Chateau were declared a national cultural monument. The neo-Gothic Sychrov Chateau served as the residence of the French original family, Rohans. The rooms have been furnished with the original furniture, paintings and other items, most rooms also feature impressive carved pieces. 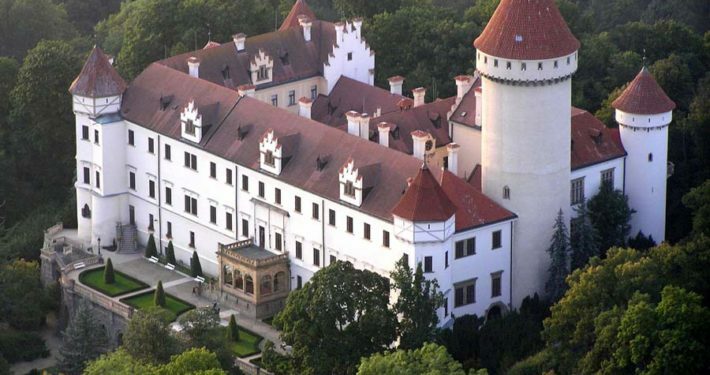 The State Kynzvart Chateau is situated in western Bohemia. 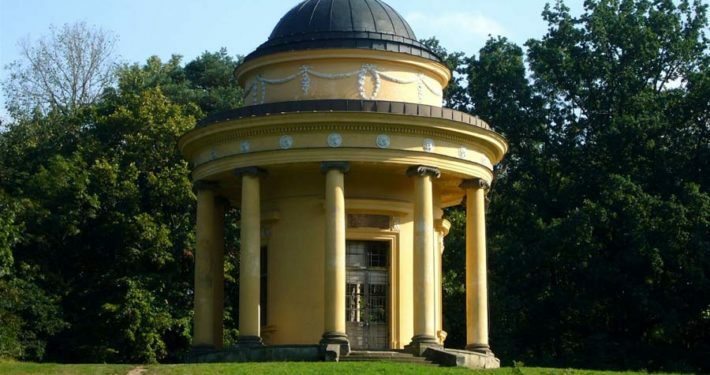 It is primarily known as the former summer residence of the Austrian chancellor, Klemens von Metternich.Wedding ceremonies (civil) may be held in either the chapel or park (on the island). 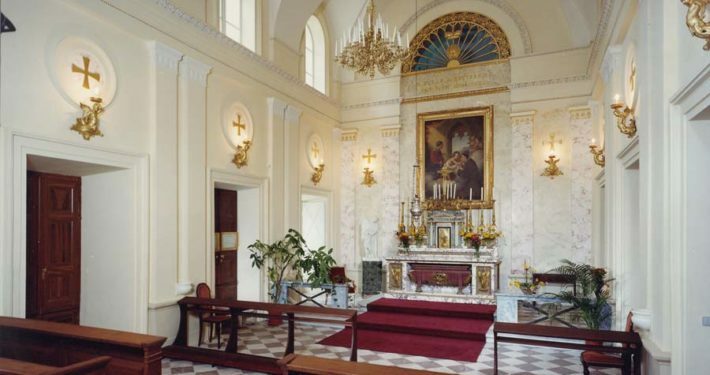 The Archbishop’s chateau dominates one of the most attractive cities in Moravia and stands out as the main attraction for visitors to the historic complex. Both the Chateau and its gardens were recorded on the list of UNESCO World Heritage sites in 1998. 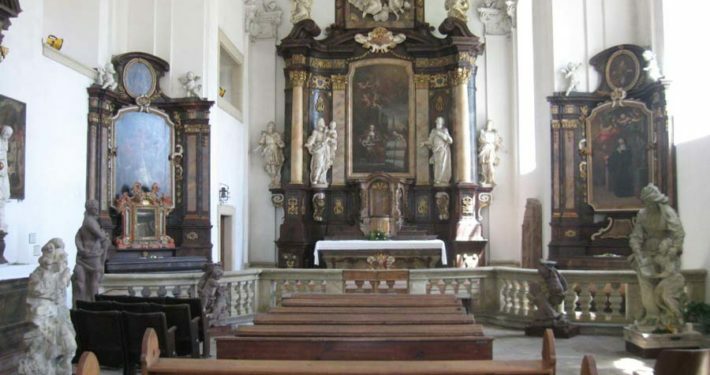 High Baroque architecture of the early 18th century (G.B. Alliprandi) situated in natural parkland. 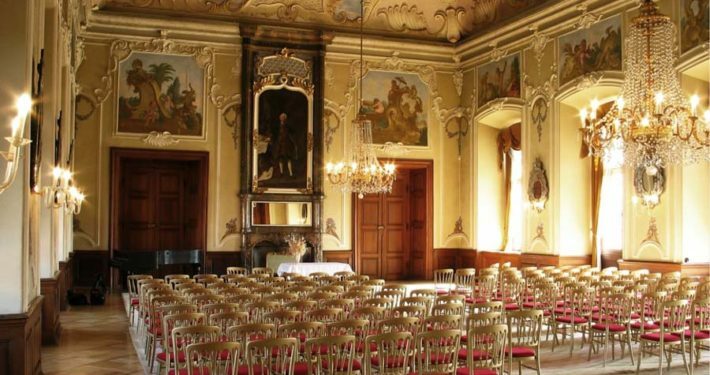 Wedding ceremonies are typically held in the Rudolph Hall on the lateral wing of the chateau. 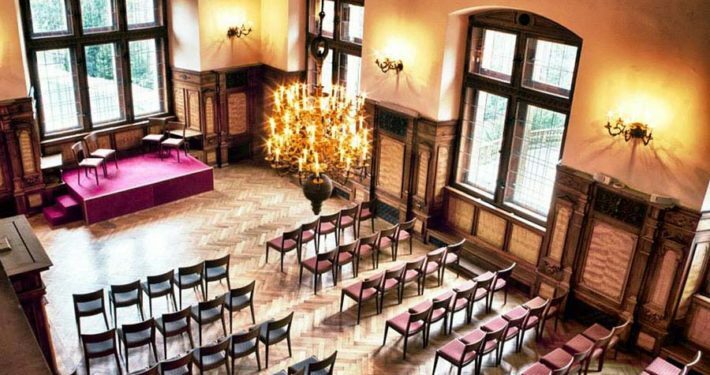 It is also possible to arrange wedding ceremonies in the park or the romantic pavilions. 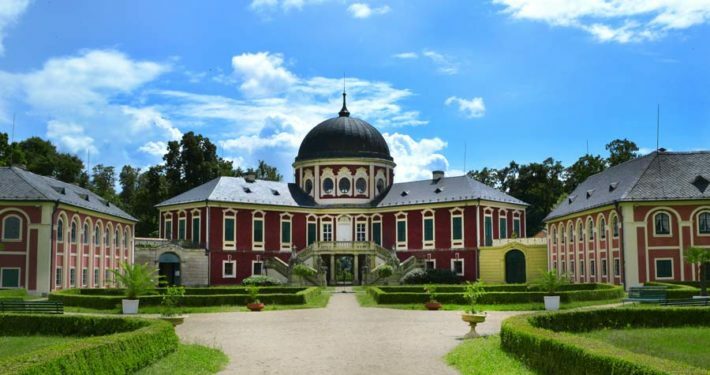 The origins of the picturesque Breznice Chateau are connected to one of the oldest Czech family lines; the Buzic family whose origins were derived from the mythical Bivoj. The last private owners of the Chateau, the Palffys of Erdöd carried out changes which involved demolishing several buildings and adding a wall including a bastion of neo-renaissance sgraffito plaster and, as such, left their mark on the final form of the chateau its interiors and collections. This chateau is a magnificent specimen of a Baroque manor house, which has survived having undergone only minor alterations.